Six Quebec is a 21 unit condo development centrally located in the Central Business District. Originally the Minnesota Federal Savings & Loan Building, Six Quebec has direct access to the MInneapolis skyway system via a private elevator. Six Quebec also comes with convenient amenities such as retail shops and restaurants on lower floors. Shopping and entertainment are also close with Nicollet Mall just down the street. This is a great option for business professionals looking for a high-end downtown residence with skyway access and amenities. Six Quebec promises homebuyers a quick commute to work, and offers the ultimate in urban living in Minneapolis. Browse all Six Quebec condos for sale below or learn more about the building features and amenities of this fantastic condo development in Downtown West. Interested in a Six Quebec condo for sale? Contact us to connect with the Minneapoli home of your dreams. 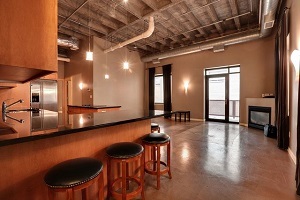 Homebuyers can expect the typical loft features found in other converted building. Units feature exposed ductwork, finished concrete floors and timber ceilings. Units also come with gourmet kitchens and fantastic views of the Minneapolis skyline. 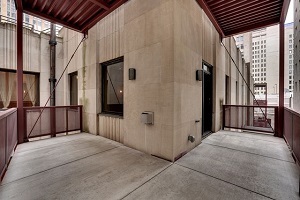 Renovated in 2004, this beautiful Art Deco style building also features an outdoor community patio and private elevator access to the Minneapolis Skyway system. Other owner-occupied residential buildings connected to the Skyway system include Centre Village, and The Crossings. *Included in homeowners association fees. Residents at Six Quebec, Minneapolis are centrally located on the corner of 6th and Marquette, in the heart of the Central Business District. 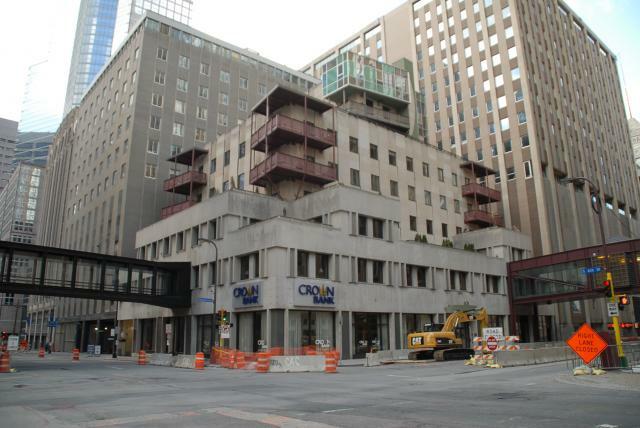 The building is also ene block to Nicollet Mall shopping and other retail stores like Saks Fifth Avenue, and Macy's department store. Close proximity to an LRT station makes for easy commuting and a pedestrian friendly neighborhood makes this an ideal residence for car-free living in Minneapolis. Parks: Loring Park, Mill Ruins Park, Franklin Steele Park, Currie Park, Stevens Square Park, Peavey Field. Restaurants: Seven, Hell's Kitchen, Bombay Bistro Fine Indian Dining, Basil's Restaurant, Atlas Grill, Baja Sol Tortilla Grill, Firelake, Murray's, Zelo, Solera, The Melting Pot, Mission American Kitchen & Bar. 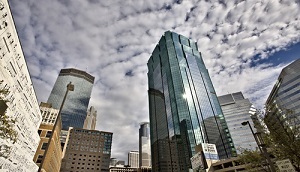 Shopping: Saks Fifth Avenue OFF 5th, Gaviidae Common, Nicollet Mall, Macy's, Marshalls, Target, Office Depot. Schools: Fair School (public, K-12), DeLaSalle High School (private, 9-12), New Horizon Academy (public, K-12), Bernie's Montessori School (private, PK). Do you own a condo in the Carlyle and happen to be thinking about selling?Let me assess your condos value and get you a price quote. Fill out my condo sellers form and our team of Minneapolis condo experts at Downtown Resource Group will get back to you with more information on the recent sales activity in your building as well as provide you a marketing plan and general market assessment.